Maurice Caruana Curran had a long and creative life: athlete, poet, political journalist, actor, legal luminary and judge, pioneer for heritage and environmental conservation. He was fuelled by the will to do what was right by his conscience and protect the right of the individual no matter the cost. He gave several landmark judgments which, together with his foundation of Din l-Art Ħelwa (National Trust of Malta) are his legacy to his country and to Europe. 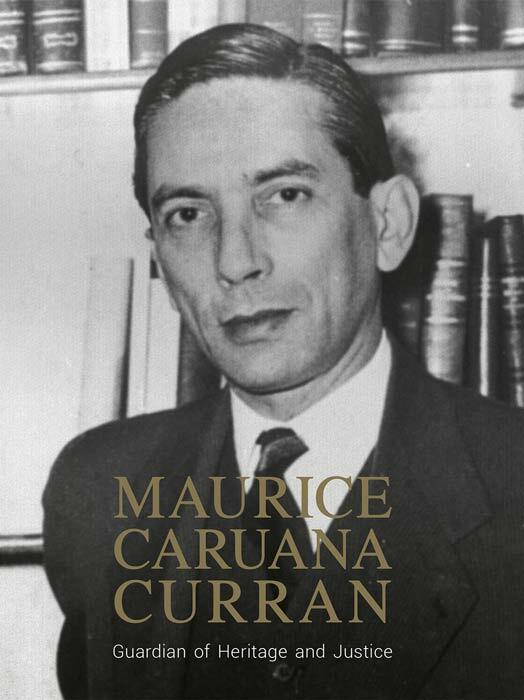 Written by Malta’s leading thinkers, legal and literary experts and many close to him, on the 100th Anniversary of his birth, it captures the vision of a man who served his country and wished to leave it a better place.